I wanted to make sure you were aware of the New Haven Symphony Orchestra’s Family Concert this weekend at Davis Street School. This extraordinary, kid-friendly, performance is free! Davis Street School is accessible from Whalley Avenue. I’ve attached the announcement from NHSO. NEW HAVEN & SHELTON, CT, January 4, 2016 - Put on your PJs, grab your favorite stuffed animal, and join the New Haven Symphony Orchestra (NHSO) for this year’s Family Concert Series: “Once Upon A Time...” This three-concert series will celebrate the magic of fairy tales and each concert will conclude with a beautiful lullaby that families share at home. The series will begin this weekend with Tubby the Tuba on Saturday, January 9 at 2:00pm at Davis Street School in New Haven and Sunday, January 10 at 2:00pm at Shelton Intermediate School in Shelton. The concert will open with musicians from the NHSO brass section playing invigorating dance rhythms from Argentinian composer Astor Piazzolla’s Libertango. Local story teller Tom Lee will then narrate the playful tale of Tubby the Tuba, shining the spotlight on NHSO’s own tubist, Adam Crowe. The program will be rounded out by Three Georgian Folk Songs and the Austrian lullaby Still, Still, Still. 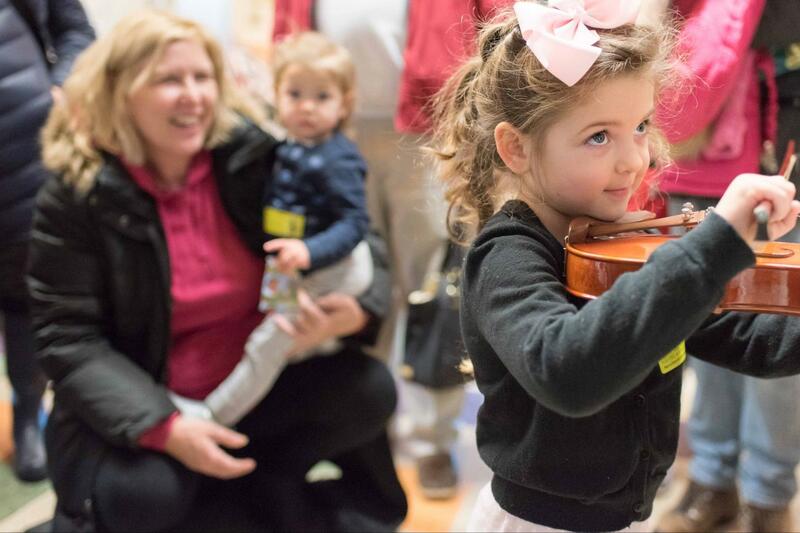 Starting at 1:30pm before the concert, the NHSO will offer an Instrument Discovery Zone where children can tap, tickle, and toot real orchestral instruments before the 2:00 pm performance. Following the concert, families are invited to stay for a healthy snack. New Haven Reads will partner with the NHSO once again to provide free children’s books for everyone who attends the concert. The Family Concert Series will continue on February 6 and 7 with Ferdinand the Bull, which highlights the string Instrument family with music including Tchaikovsky’s Sleeping Beauty Waltz, Ferdinand the Bull, Copland’s Old American Songs, and Schumann’s Album for the Young. The final concert of the series, Peter and the Wolf, will take place on March 5 and 6 and will feature the NHSO woodwind section with selections from Prokofiev’s Peter and the Wolf acted out with the help of professional storyteller Michael Boudewyns from Really Inventive Stuff.